The e-mailer was Ian Large. "I just read your article on the Synergy 300B/6SN7. 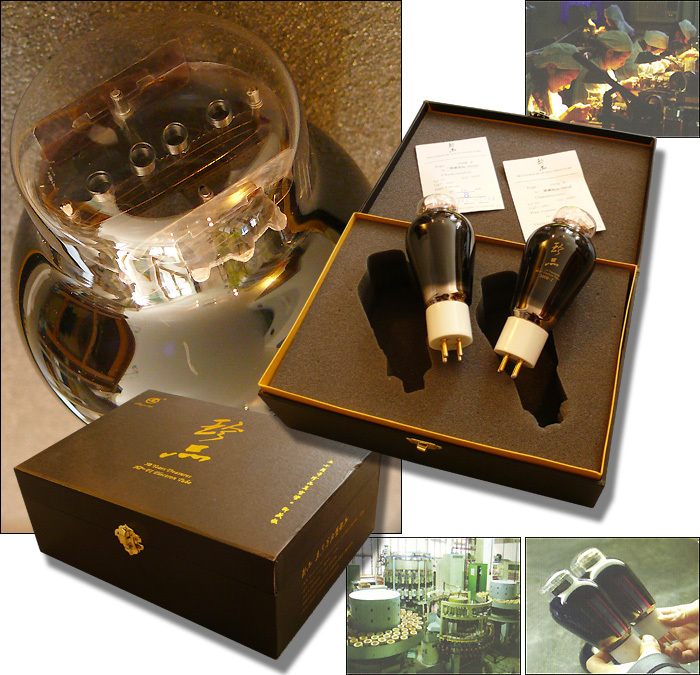 As we are the UK distributor for Shuguang Audio, would you be interested in reviewing the Treasure Series valves? We have 300B, 2A3, KT66, KT88, 6CA7 and CV188 in the range*. Sometimes we are in stock of everything, sometimes in-between deliveries but we can usually restock quite quickly. "We also have a direct account with Mr. Liu at TJ/Full Music but for him we are just resellers. Still, we could supply you for review if you wished. The TJ 12AU7/12AX7 are exceptional. Here is a link from a new website which has a review of last month's London High Fidelity Show. It includes us on page six. There is a new 6SN7 from TJ but we sold the last pair last week. More to come soon though. "We do have the £295/pr TJ 300B-C but not the SE version you inquired about. That retails at a very stout £550/pr. There also is a new TJ 211/D carbon plate which I prefer to the KR Audio 211 I had previously. This valve is so new as to not even be on Mr. Liu's website yet. Outside China and Hong Kong, distribution for Shuguang's Treasure Series is handled by us for Europe whilst Grant Fidelity in Canada handles the Americas." *The EU pricing/pr for the Treasure Series valves is as follows: £395 for 300B-Z, £295 for 2A3-Z, £205 for KT88-Z, £195 for KT66-Z, £170 for 6CA7/EL34-Z and £235 for the CV181-Z/6SN7. 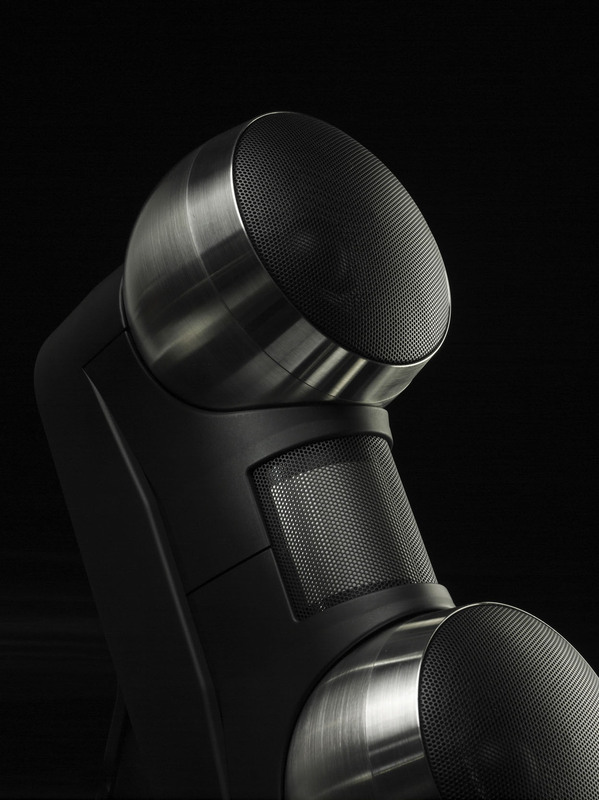 "Grant Fidelity's price for the Treasure Series 300B is $600/pr, ours is £395+VAT. According to information from Shuguang, the original factory started in 1958 as Changsha Shuguang. The Treasure Series 50th Anniversary range was released in December 2008. In the Treasure Series range there are over 60 parts differences versus the generic Shuguangs. Only a handful of workers have the necessary skills to work on this range. In fact the key assembling process is manually completed by a small number of senior technicians with 30+ years of experience. They operate in a separate division within Shuguang." The obviously different aspect of all Treasure Series tubes is their black HPCC high polymer compound carbon coating on the glass. 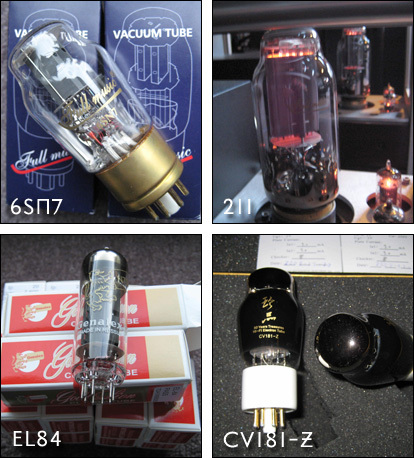 This is a first in vacuum tube production. 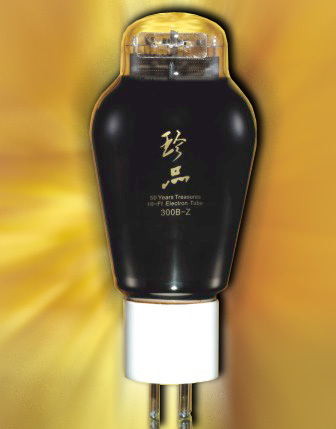 Compared to traditional carbon spray technology, HPCC coating is said to allow for greater electron concentration to enhance and maintain stability of the electron flow; to maximize "secondary electron emission suppression" from the glass bulb and in turn reduce effects of electron swirl which generates internal noise from the tube itself. "Super Alloy technology too makes its first appearance in constructing vacuum tubes. This technology was invented and first used in aviation, aerospace, military and other high-tech areas. After 3 years of testing under extreme conditions, Shuguang has successfully adopted this technology to achieve directional solidification and single crystal molecular structures. This is claimed to greatly improve electron emission and electron current stability. Suggested burn-in time is 150-300 hours. Most changes happen in the first 150 hours." By accounting for a reputed 40% of global valve production today, Shuguang must be N°.1 in the sector. Being king has consequences. Some output is OEM and rebranded. When you're biggest, others approach you for modifications to your stock recipe. 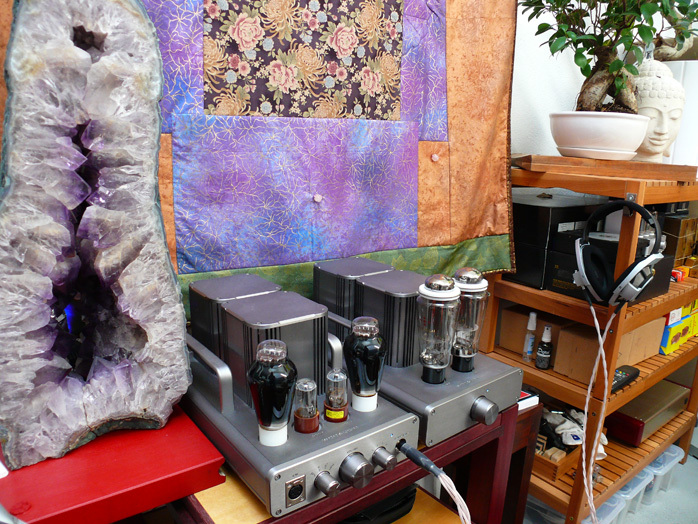 With 300Bs, there's Synergy HiFi. They source all valves from Shuguang. Apparently any order for 500 units opens the doors to OEM and rebranding. Synergy's claim to exclusive metallurgy in their electron beam structures is paralleled by the Treasure Series' own super alloy specification. Since I had a pair of Synergy 300Bs, simple listening would probe into this. Even Mr. Liu's far smaller TJ operation is involved in OEM. Sophia Electric rebrands TJ's Full Music 300Bs. This is common. Savvy shoppers pay attention and take certain exclusivity or even identity claims with a few grains of salt. There aren't many makers of tubes left. Context: Based on my Yamamoto A09-S amp with C3m drivers and the Woo Audio Model 5 with 6SN7s, previous 300B experiments had established the Emission Labs 300B XLS and EAT as my favorites and in that sequence. Their dynamic wide bandwidth sound had me classify them as modern variants. This became an arbitrary category into which also belong the Synergy-branded Shuguangs and finally the Slovak JJs. In what I refer to as the opposing vintage class of 300Bs as exemplified by the reissue Western Electrics, there are the TJ meshies, identical Sophias, Gold Aeros and standard Shuguangs. With the exception of the Synergy, the modern class is thus Czech/Slovak. It includes the now discontinued AVVT/VAIC products and the present KR Audio. 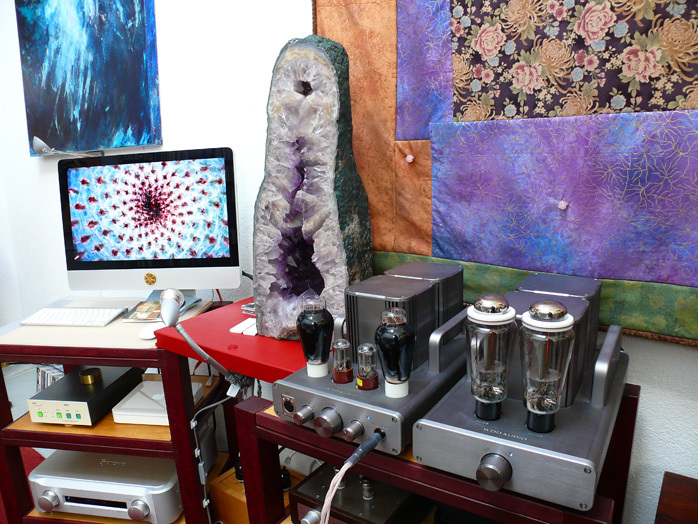 Eunice Kron did tell me in the past that she no longer sells her tubes except to KR Audio amp users so availability seems intentionally restricted. My 300B vintage class is thus made up of US and Chinese entries. There also are Russian 300Bs branded Sovtek, Svetlana and Electro-Harmonix which I haven't tested. Lastly there's a new Japanese 300B from Takatsuki. Relevant is that on build quality—thickness of glass, pins and sheer size—the Eastern European 300Bs rule (the quality control of JJ has become questionable however). Besides higher perceived value based on size and substance, the Czech/Slovak bottles also tend to be less microphonic than their thinner-walled smaller vintage equivalents. 300B users today have a surprising assortment of production tubes to pick from. 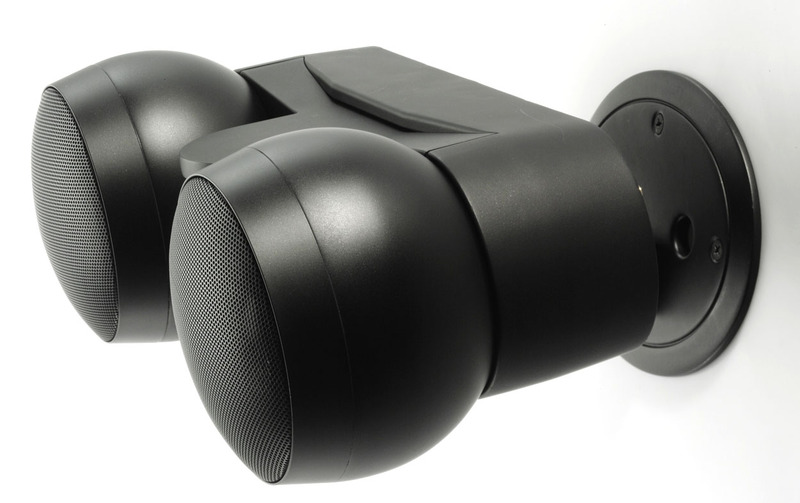 Some like the current EML 320XLS, NOS versions of AVVT/Vaic 32B, 320 and 520 and current equivalents from Ayon Audio have non-standard specifications. These are not plug 'n' play for regular 300B amps. Shuguang's black Treasure Series 300B is however. It's also standard sized to fit beneath the usual tube cages. All successors of the old Tesla factory are oversized except for a reputed newer line of Emission Labs bottles. Due to requests from their Japanese importer Yamamoto SoundCraft, those are supposedly scaled back to match Western Electric precursors on size again. To complete the always implied boiler-plate stuff—all reviews are subjective and just one writer's opinion—the specific sound of an output tube is a function of the circuit it works in and the tube (or occasionally Mosfet as in Nagra's new 300B amplifier) which drives it. A C3m pentode driver ahead of a 300B doesn't sound like a 6SN7 triode. An Electro-Harmonix 6SN7 makes a 300B sound different than a Synergy 6SN7. Anyone hoping for cut and dried assessments that index the sound to any one tube misses the bigger picture. Finally, push/pull circuits tend to have lower and differently distributed THD than single-ended. A 300B evaluated in p/p will not sound like one in a SET circuit. As with all my previous assessments on 300Bs, today's is about single-tube non-paralleled SE mode. As concerns reliability, that's a vital bit of intel of course which this type of review cannot address. For that you'll want long-term owner feedback from the usual enthusiast's forums.